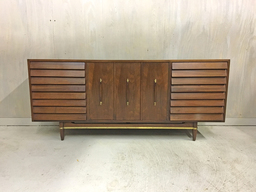 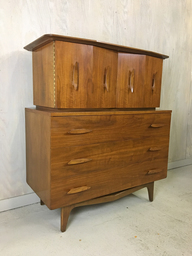 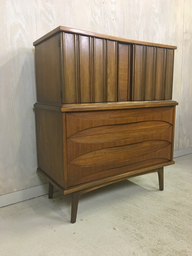 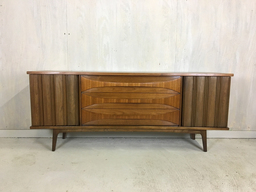 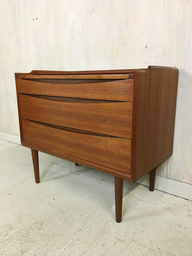 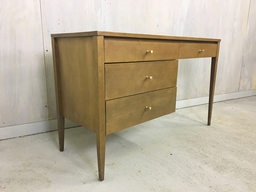 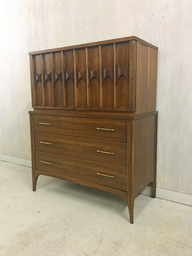 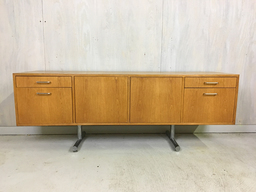 This great looking mid century walnut highboy features three large drawers and folding doors on top that open to reveal four interior drawers. 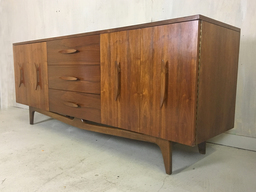 “Nautical cleat” pulls and sculptural base make this piece a stand out of mid century design! 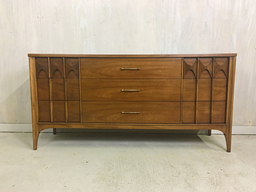 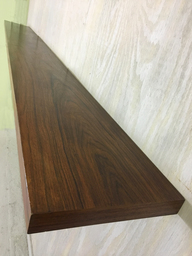 In excellent condition, the piece has been refinished and has no stains or veneer chipping. 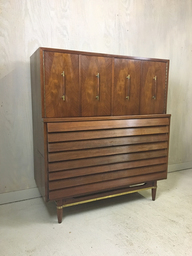 Lowboy also available (see separate listing).